Whomp whomp. There're no Binaltech BT-17 Black Convoy - e-HOBBies for sale. 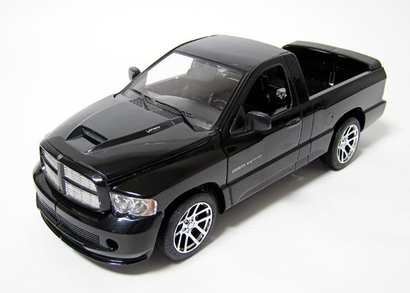 BT-17 Black Convoy, a Dodge Ram SRT-10 pickup truck, was available exclusively in Japan at the winter Wonder Festival in 2007 and then later offered on e-HOBBY SHOP in limited quantities. His plastic colors are different from Nemesis Prime's, with grey plastic replacing the black on his shins, waist, shoulders and forearms. In addition, Nemesis Prime's windows are tinted red, but Black Convoy's windows are completely clear. His paint deco is based upon Kiss Players Convoy's, arranged in the same patterns but using teal, and he has vacuum-metallized wheels and front grill. The paint deco on his head is meant to evoke that of Car Robots Black Convoy. Perhaps the most important differences are that he has die-cast metal parts, and most of his truck body panels are coated in gloss black paint. Perhaps due to cost-cutting, this toy was released in the large bubble-on-a-tray packaging also used in the Alternators line. However, he came with no character or packaging art.